While consuming hot chilli peppers can certainly be a challenge for most people, growing hot chilli peppers is actually surprisingly easy. Originating from the subtropical regions of America they can be grown outdoors in most warm temperate climates, including the cooler regions of northern Europe. However despite the shorter growing seasons of northern European countries, you can make the most of what there is by germinating chilli pepper seed early under protection and then extending the season by growing under the protection of a large cloche, polytunnel or greenhouse. Sow chilli pepper seeds in 3 inch pots containing a good quality compost such as John Innes 'Seed and Cutting'. First water in the compost then at a rate of 1 seed per pot press the seed onto the compost surface. 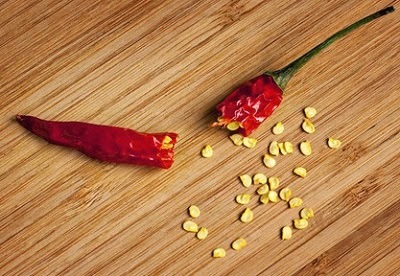 Do not bury the seed as chilli seeds require the presence of light to help initiate germination. You can however cover the seeds with a fine sprinkling of compost or vermiculite. Place the pots inside a heated propagator at a temperature of approximately of 18-25 degrees Celsius and position on a warm bright windowsill that does not receive direct sunlight. Alternatively seal the pots inside polythene bag. The seedlings should emerge in 7-10 days, at which point remove them from the propagator or polythene bag. They can now be grown on in cooler conditions. 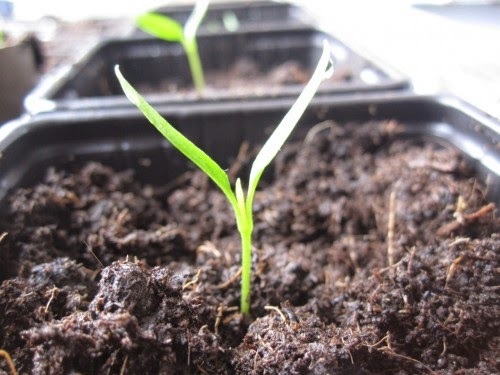 Once the roots have established in the pots you can plant the seedlings outside once the threat of late frosts have passed which in the United Kingdom will be by the end of May or early June. They will need to be hardened off for a week or so first to prevent the young plants from becoming damaged from drying winds or being scorched by direct sunlight. 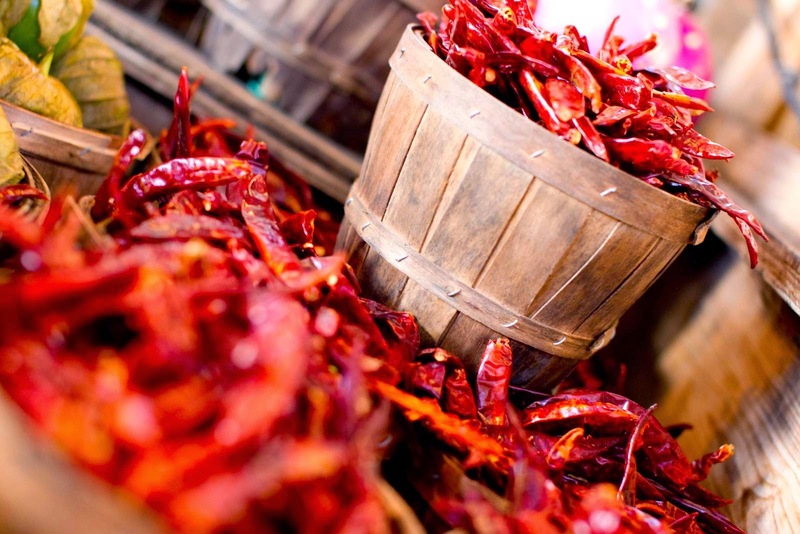 Chilli peppers will produce the best crops when grown in a fertile, well-drained soil that has been previously enriched with plenty of well-rotted farmyard manure or garden compost. If you can, position your crop with the added protection of a south-facing wall. Space chilli pepper plants at a distance of 50 cm apart. The chilli peppers should be ready for harvesting in August and September. Growing them under the protection of a greenhouse or polytunnel will allow the plants to crop earlier and then extend the harvesting period to october and even the beginning of November.